Among the most successful early engines marketed in the United States were those designed and built by aviation pioneer and inventor Glenn Curtiss in his factory in Hammondsport, New York. Early Curtiss engines were designed to power motorcycles. The Curtiss Model B-8 was the first Curtiss engine to power a heavier-than-air machine in sustained flight. In 1908, the 29.8 kw (40 hp) B-8 powered the Curtiss June Bug aircraft. 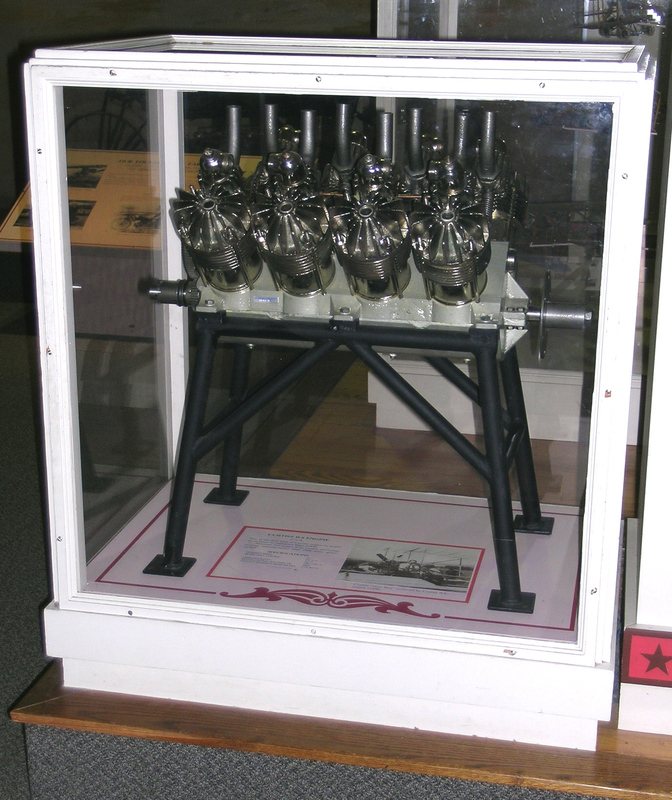 In 1911, this engine was used by the donor's father, Dr. George A. Spratt, to power an experimental variable angle of incidence wing seaplane of his own design. Although this engine is air cooled, all Curtiss engines manufactured after 1908 were water cooled. Boeing 307 Stratoliner "Clipper Flying Cloud"